The bad news is that summer is completely and entirely over. The good news is that autumn harvest vegetables are completely and entirely at their peak. Butternut squash, with its rich, buttery sweetness, is one of my all-time favorites. 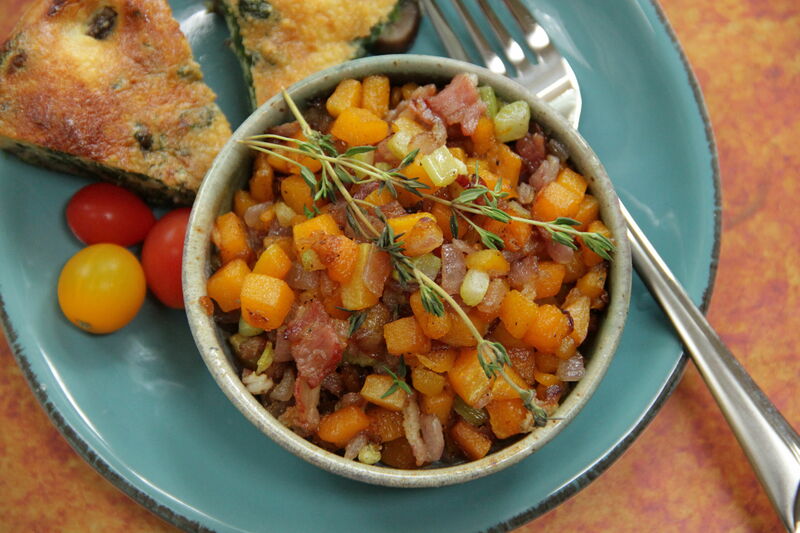 You can dish a little bit of October flavor onto your breakfast plate with this Butternut Hash recipe. Best results come from fresh, not frozen, squash. Either steal a few pieces of a whole butternut when making soup (try my recipe for Butternut Squash Soup! ), or use a handful of pre-cut pieces you can find in most groceries these days. Broiling the butternut squash first makes finishing this hash a snap – do it the day before if you like to speed things even more. I like to roast the squash with a generous sprinkling of hot cayenne, infusing some heat as a counterpoint to its naturally sweet flavor. Stop here, if you like, and serve up the roasted butternut as a side dish for any meal of the day. 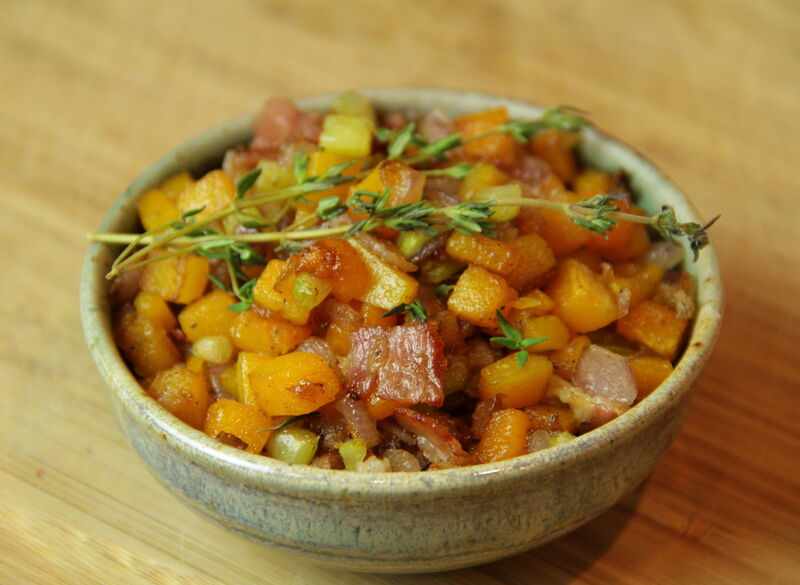 If you keep going, you will love the colorful array of vegetables tossed in the pan – deep orangey-gold squash, sprightly green celery, burnt auburn bacon, and rich red onion make this hash as pretty and autumnal as a mountainside of Eastern trees decked out in peak foliage. Cook up some eggs as a go-with, if you like. Fried or scrambled are good alongside; perching some poached atop the hash is also lovely. 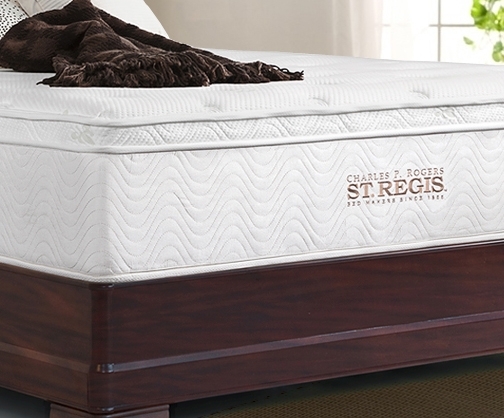 A bite of tender yolk completely and entirely enhances the rich, crispy, flavorful bed of vegetables beneath, for a delectable harvest breakfast in bed. Preheat oven to 350°. 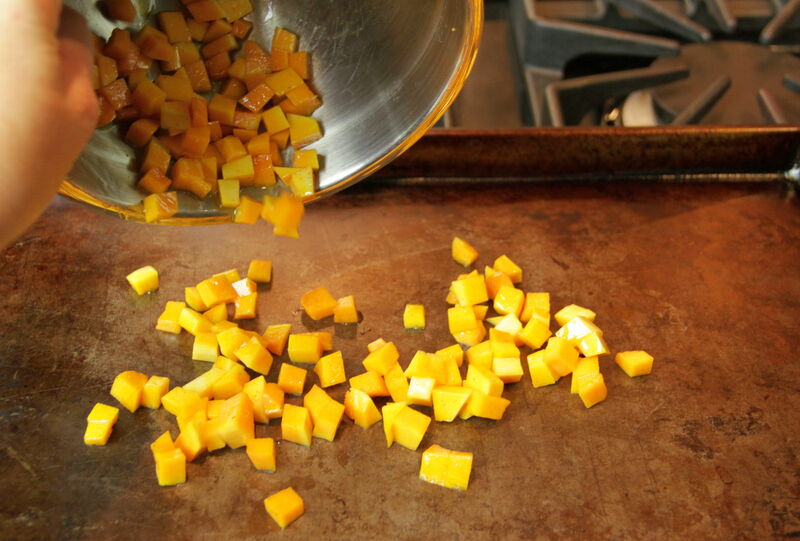 Toss butternut squash with 1 tablespoon olive oil and cayenne and spread out onto baking sheet. Bake until cooked through and lightly browned, about 15 to 20 minutes. Heat the remaining olive oil in a heavy saucepan over medium heat. 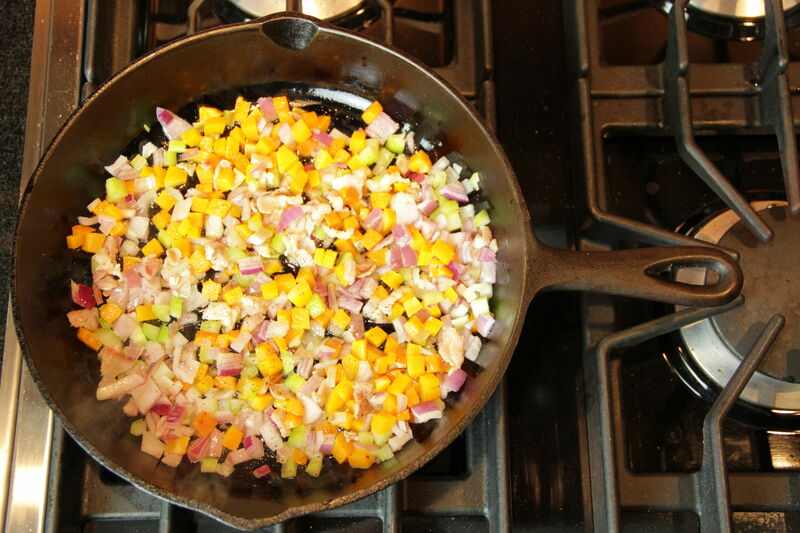 Add bacon, celery, red onion and butternut squash to pan. Sauté, stirring occasionally, until bacon is crisped and vegetables are cooked through, about 10 to 12 minutes. Add garlic and sauté. for 1 to 2 minutes longer, or until garlic is golden but not yet browned. Season with salt and pepper, garnish with fresh thyme. Serve hot, with a side of eggs of your choice. Bedtime Stories: Crayons on Strike! 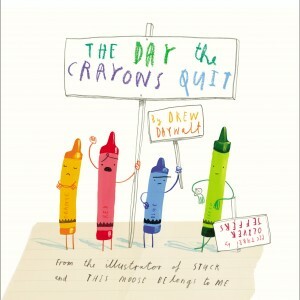 The Day the Crayons Quit by Drew Daywalt. 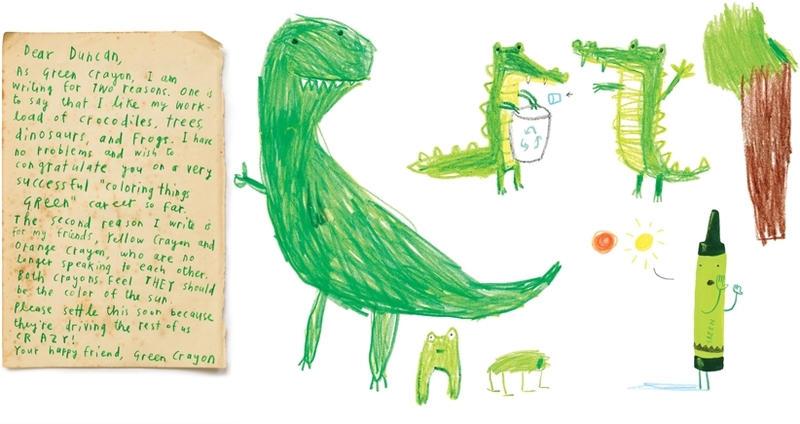 Pictures by Oliver Jeffers. One of the best things about the new school year is that means new surprise books on library day. Last year I learned just how many different Lego and Star Wars-themed easy readers were being cranked out by unscrupulous children’s publishers. Goodness knows what this new year will bring, though I must say it’s off to an auspicious start. My boy was very excited to show off his new library book, and will good reason. The Day the Crayons Quit is a highly entertaining and original story. When Duncan opens his box of crayons, he finds instead a series of letters to him, each penned—er, crayoned—by a different color. Yellow and orange write contradictory letters arguing over which is the REAL color of the sun. Pink feels snubbed because Duncan thinks it’s a “girl” color. Peach is mortified because Duncan peeled all his paper off and now Peach is naked! You can bet that gets a lot of laughs in our home! I am not familiar with Drew Daywalt but Oliver Jeffers is well-known and well-loved in our home. Great book for kids 4-6. Posted in Bedtime Stories	| Tagged bed, bedroom, Charles P. Rogers, Children's Book Review, Drew Daywalt, Oliver Jeffers	| Comments Off on Bedtime Stories: Crayons on Strike! Do you ever find yourself alone of a morning, craving something yummy, but don’t feel like fussing? 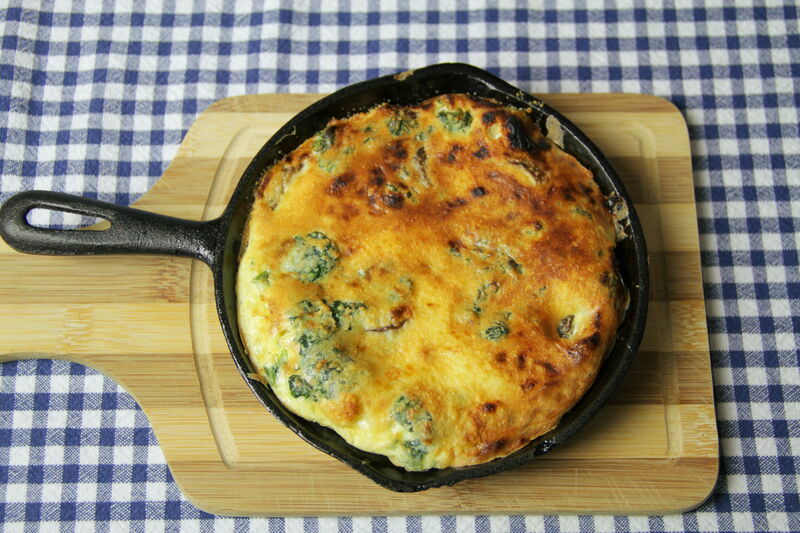 The answer to this dilemma is a minimal-ingredient, one-pot, fast and furious, cheesy, vegetable-filled mini-frittata. I love the meaty richness that mushrooms provide, and my fridge is almost always stocked with some kind of edible fungus or another. Adding green spinach (usually to be found in my freezer) for color and depth is a no-brainer. And of course, no frittata is complete without some gooey, sharp cheese. If you’ve got other goodies stashed in your pantry, by all means, improvise. A tiny bit of salty bacon, ham or sausage goes a long way, and savory sautéed onions or garlic are always delightful. Tomatoes or peppers, potatoes or squash, tofu or seafood can all conspire to create your own custom-built mini-frittata. I add a healthy dose of seasoning, and like to use a pre-blended mix which includes onion, garlic, paprika and the like. You should use whatever fits your mood and ingredients – basil, oregano and parsley for Italian flavors, or chipotle, marjoram and chili for Latin flair. 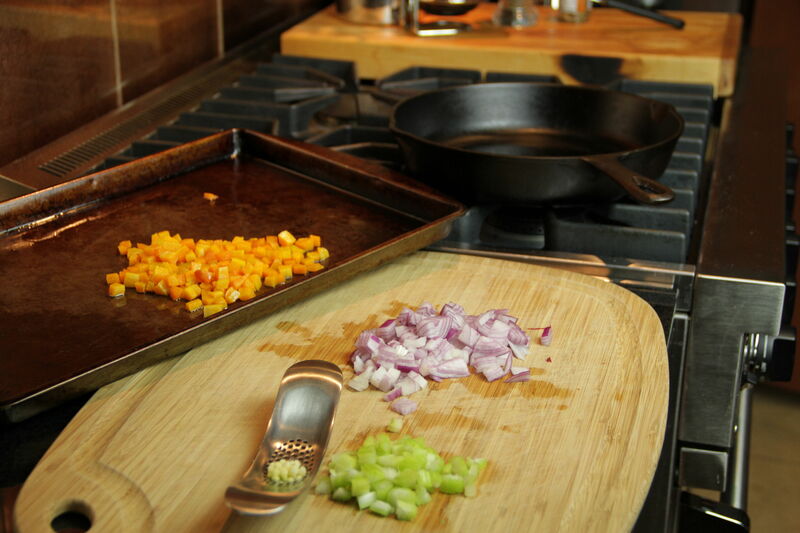 Start to finish, you’ll need about 15 minutes to concoct your very own personalized mini-frittata. 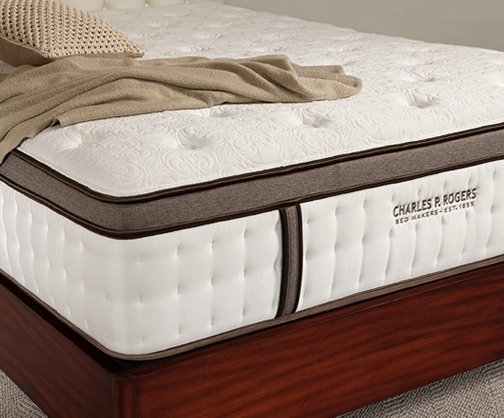 Just enough time to fluff up those pillows, grab the daily paper, and dig in to your no-fuss, fast and furious breakfast in bed. Pour olive oil into a 6-inch ovenproof heavy frying pan, and place on stove over medium heat. 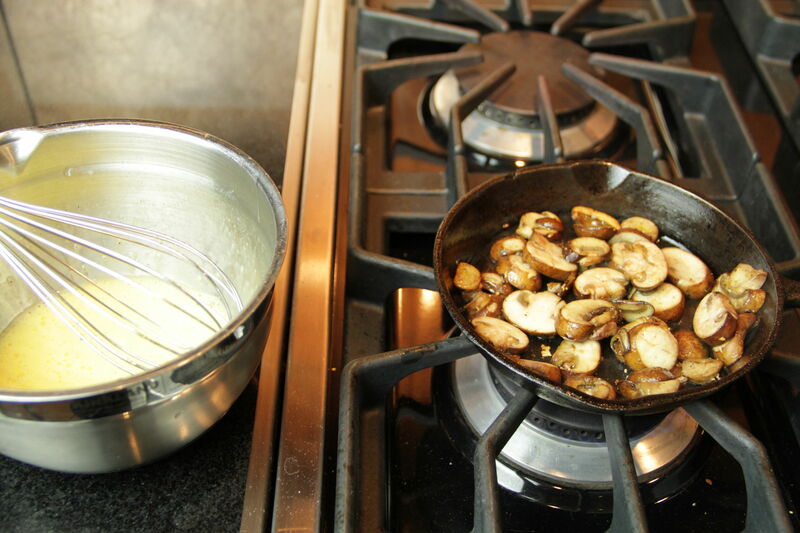 Add mushrooms to pan, sprinkle with seasoning mix, and sauté until soft, about 5 minutes. 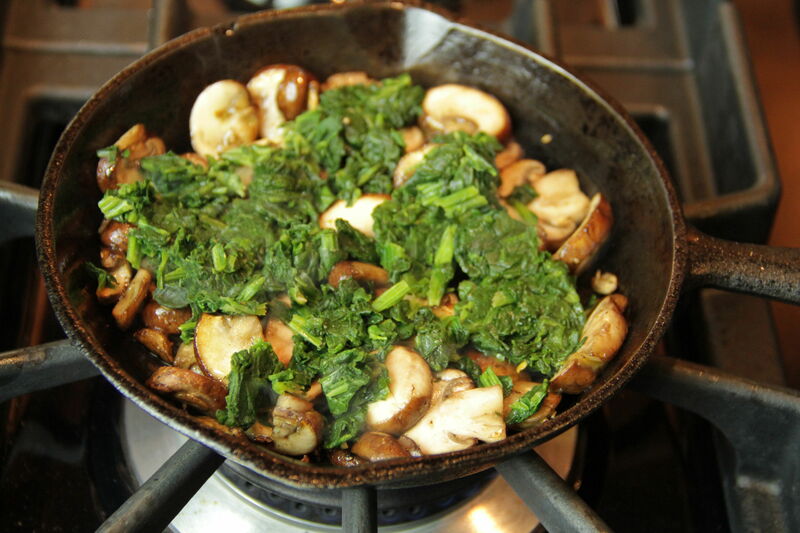 Cover mushrooms evenly with chopped spinach and reduce heat to low. Break eggs into bowl, and whisk until smooth and thickened. Stir in shredded mozzarella cheese and season with salt and pepper. Pour egg-cheese mixture over mushroom-spinach mixture. Continue to cook, gently moving uncooked eggs back around the sides of the pan, until edges are set, about 3 to 5 minutes. 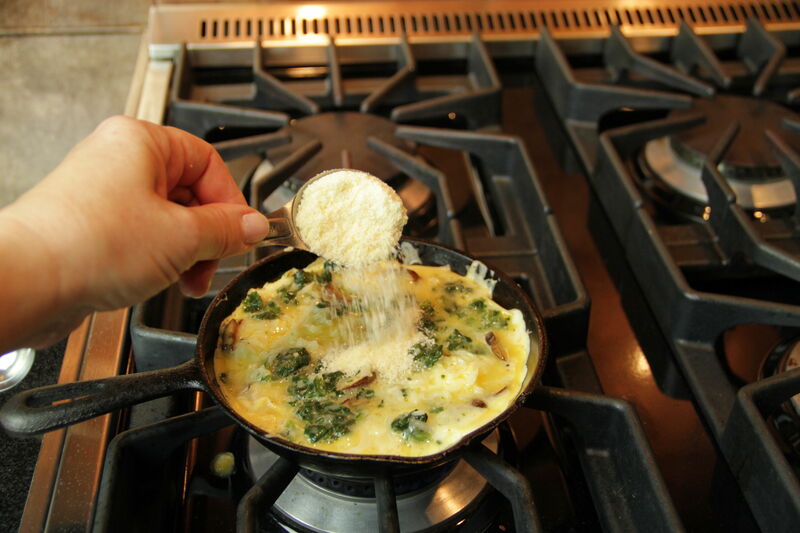 Sprinkle top of frittata with parmesan cheese. Place frying pan under broiler, about 5 inches from direct heat. 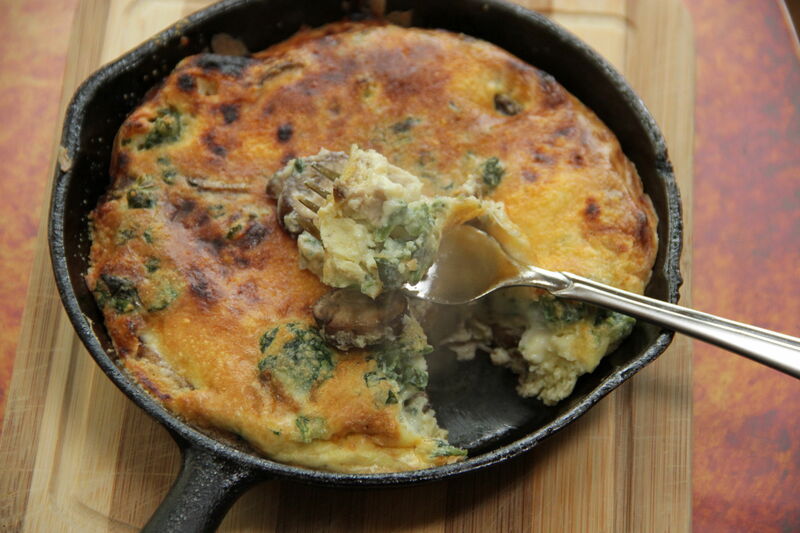 Broil frittata until eggs are firm and do not jiggle, about 2 to 3 minutes. A couple months ago, I reported back about a collection of stories I’d read as a child and was revisiting with my son. 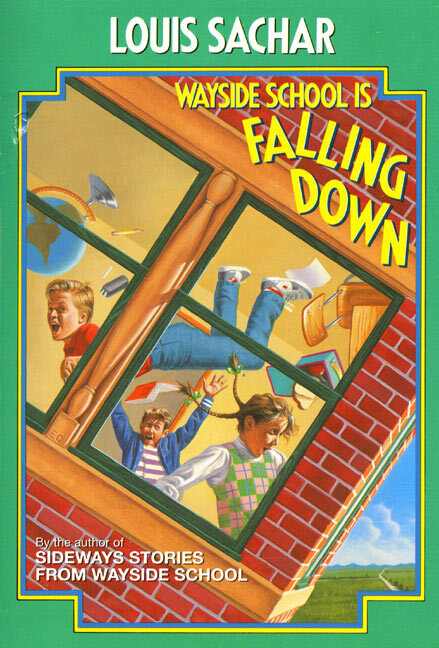 Each was the story of a child in the 30th-floor classroom at Wayside School, the sideways school. I enjoyed it almost as much as a grown adult as I did as a kid. My son? He LOVED them. So imagine our delight at discovering a whole new volume of stories about the unusual children in Mrs. Jewl’s class on the 30th story. My son? He LIKES them. I think they’re okay but not as funny as the first, not as original the second time around, either. Also? I find myself having to explain that although one of the children brought a hobo in for show-and-tell (it was as tastefully done as it could be, which wasn’t very) we generally don’t call people “hoboes” unless they are riding the rails, carrying a bindle, and eating beans out of a can. A couple of the stories are pretty good, like the one about the new kid Benjamin Nushmutt who everyone thinks is named Mark Miller and he can’t bring himself to correct them. After all, Mark Miller is SO much better at everything than Benjamin Nushmutt is.